The following is written by David Robinson, published in the June 2018 edition of Technologies For Worship magazine. At TPC (The Pentecostal Church) in De Quincy, LA, our doors are wide open to people from all backgrounds, regardless of where they are on their spiritual journey. Our main sanctuary seats 600 people, and we have contemporary worship services on Sunday at 10:00 am and 6:00 pm, and Wednesday night at 7:00 pm. What people usually notice first about us is the life-giving nature of our ministry. Our goal is to infuse life and God’s love into people and families through engaging, powerful worship services that offer biblical truth in relevant and practical ways. This means the message – and the way we deliver it – is very important, from Pastor Wayne Neyland’s message right on through to the music the worship team blesses us with each week. Several years ago we were having issues with stage volume that we needed to address and only had vocal mics connected to our console so our recordings were missing music. We were also planning a move to add individual monitor mixes for our worship band. Originally, our worship team brought their own amplifiers for worship, which worked well initially but eventually became too much. The band consisted of three keyboard players, bass, guitar, Hammond organ with a Leslie, live drums (no drum room), for a total of seven amps on stage. You can see why that would be a little overwhelming at times. When we started looking for solutions, we initially decided to go with inexpensive direct boxes on the stage. However, the boxes we chose didn’t really meet our goals as well as we planned, some having issues with hum and noise, and they didn’t really do what we had expected of them. Ground lift switches started breaking, and the noise was unacceptable. We knew we needed to make a change, and we started actively looking for other solutions. 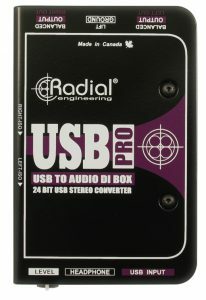 The USB-Pro is a digital audio converter/computer DI. 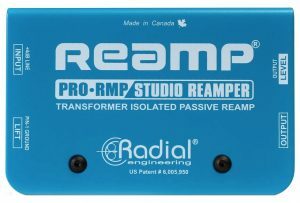 I happened to be reading an article about a band that used Radial Engineering direct boxes on tour. Cavin Carter, a volunteer on our audio team had some experience using those so we decided that they would be worth trying. Cavin was sure that if it worked for a touring band, it would work great for our church. We made an initial purchase of just one box, the Radial JDI and the difference for our audio and worship team was amazing. We immediately noticed the difference in construction of the JDI versus the previous box: the connectors were much better; the audio sounded much clearer and the connectors themselves were more robust. 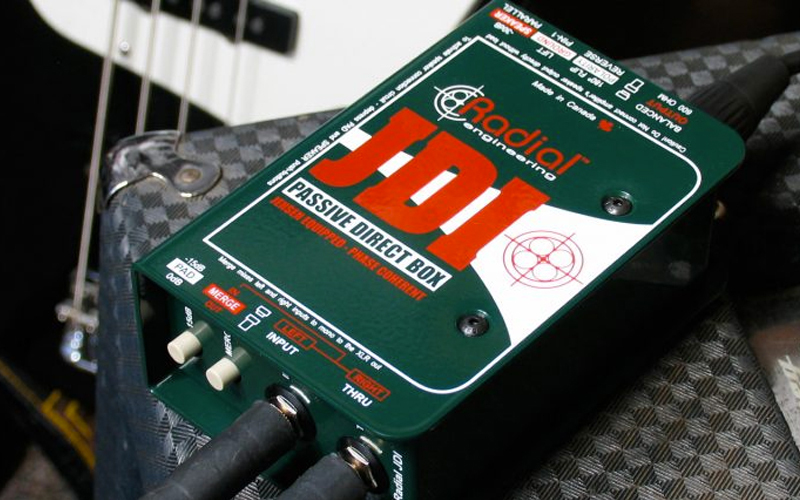 We noticed the Radial Engineering JDI Direct box was quite a bit quieter than our previous gear. 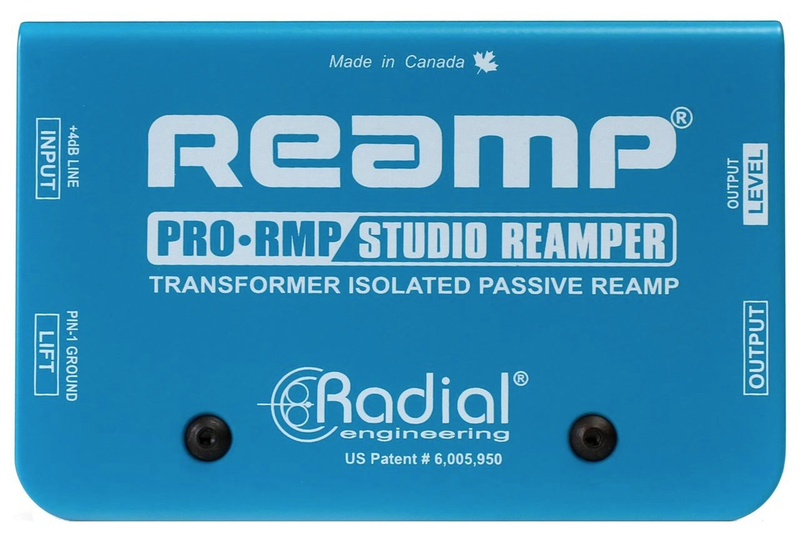 We currently have several JDI’s, three ProD2 direct boxes, USB-Pro’s, JPC, BT-Pro, Stage Bugs (SB-1, SB-2 and SB-4) and a ProRMP, all from Radial Engineering. Since we are all volunteers at the church, we needed to stick with gear that’s reliable – it needs to work when we get to the church for set-up, and we can’t have failures at rehearsal or in the middle of worship service. Any unwanted noise is a distraction! We don’t always have the time to troubleshoot. We’re blessed that our sound guys have been with us for a long time, so they have the experience, but they just don’t have the time available to always fix issues. We literally run in seconds before rehearsal starts, so everything needs to work from rehearsal, through the opening worship song to the altar service. With the Radial Engineering direct boxes, we never have any issues. They really live up to the whole idea of plug-and-play and eliminate the need to plug and pray, to the extent that we often forget they’re even there. Our biggest takeaway from all this is that yes, budget is important – but minimizing audio related distractions during a worship service are much more important. Making the best decision for your facility shouldn’t just be based on saving money, but should factor in reliability and performance to the equation. Spending a bit more for a quality product like Radial Engineering’s will save you time and headaches in the long run. It will make your work more reliable, and your audio sound more professional, and will last a lot longer than any budget-boxes you might find. My biggest regret is not finding out about Radial Engineering direct boxes sooner! We have transitioned through our move to individual monitor mixes from FOH, to a dedicated monitor console, to personal mixers and the Radial Direct boxes have continued to work flawlessly through all of our upgrades. We have had the opportunity to direct several other churches and musicians to give Radial a try.